About ten years ago, I thought that console gaming would grow progressively similar to PC gaming. While I expected the types of game experiences would remain fairly distinct to each environment, the meta-game of actually getting a game to run on a given machine would become similar. Games were getting increasingly complex on a technical level. It seemed that this growing complexity would cause the breakdown of hardware generations as new games would require incremental hardware upgrades to run properly. The recent release of Microsoft’s Kinect and Sony’s Move has me reflecting on this prediction and its unexpected manifestation. With the Wii, a new era of basic, practical hardware limitations began. Like an adorable little vampire, the Wii abhors sunlight. The infra-red connection between the Wii Remote and censor bar means gamers who like to buck the stereotype and play under natural light have to either rearrange their room based on the angle of the sun or be content with waggling in darkness. The Wii Motion plus illustrates another simple, yet very strict kind of hardware requirement. On the PC, most games can be scaled to fit a variety of graphics cards and processor speeds. 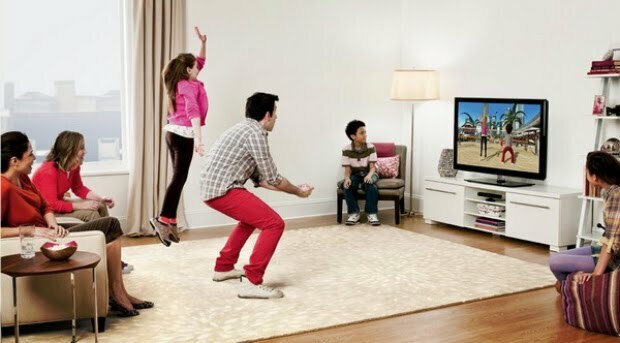 The Wii Motion Plus is a hardware upgrade meant to offer input rather than graphical enhancements, but this means that hardware requirements are often binary: games can either be played or they cannot. In keeping with tradition, Sony is building on Nintendo’s innovations with the new Move controller. Its increased fidelity and more sophisticated technology only serves to amplify the strict hardware limitations of Move-enabled games. So far, the difference between Move games and non-move games is significantly wider than that of Wii Motion Plus and non-Wii Motion Plus games. At around $80 for each Move wand and navigation control, plus another $40 for the required camera, Move quickly becomes a significant investment and a rigid hardware barrier. Kinect has the perhaps the most basic and troublesome hardware requirements. 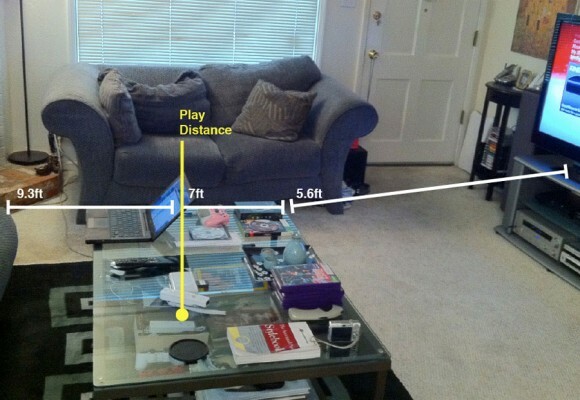 Instead of ambient-light requirements or a preponderance of plastic dongles, Kinect demands a minimum amount of physical space. As the staff of Joystiq illustrates, meeting the hardware requirements for Kinect games require both monetary and physical sacrifice that cannot be skirted. Ironically, these complications are a by-product of trying to make things less complex. In an attempt to make things approachable from an input design standpoint, the consoles have inadvertently become more complex in the most basic technical sense. A console’s strength lies in its ability to “just work,” but current hardware trends are erecting price and usability barriers that serve to erode advantage. While a PC game might require you to compare the latest Nvidia and ATI chips or wade through a mess of .dll files, at least it doesn’t make demands of your home decor. At least as far as the Kinect is concerned I'd take issue with saying that the complication is a by-product of trying to make things less complex. The complication comes from the hardware choices that Microsoft made. In order to get the hardware to an reasonable price, sacrifices had to be made, particularly with regards to the number and placement of the sensors it uses to figure out where someone is in the room.